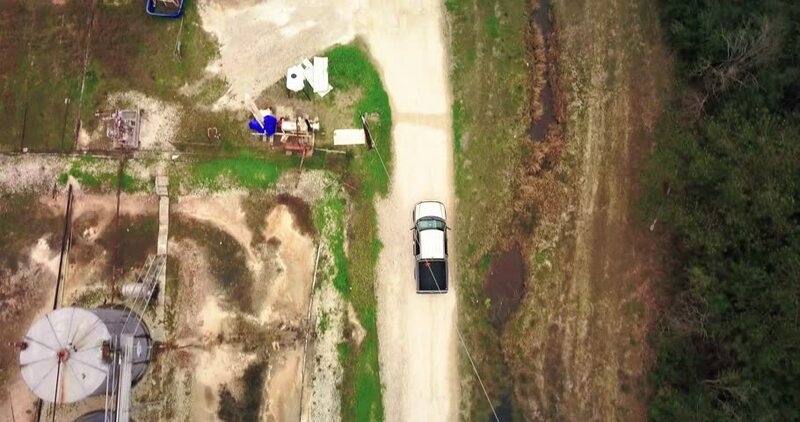 Aerial Chase of Tan Ford F150 Pickup on gravel road. 150 feet over the truck as it passes a water treatment plant. 4k00:17Aerial high angle view, heavy machinery paving long city street, roadworks on sunny day.